Transitional housing is supportive housing that helps fight the homeless problem in todays society. Transitional housing is generally for a limited time period. Stays can be from two weeks to twenty four months. Transitional housing provides people with help after a crisis such as homelessness or domestic violence.Currently we have over 5,431 transitional housing locations in our database. We also provide as much information on each housing location along with pictures. 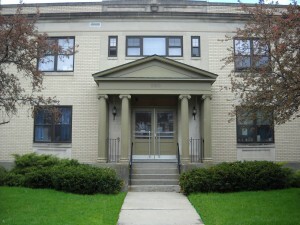 Many religious organizations offer transitional housing at no cost as part of their ministry services. Many also offer payment assistance for those that qualify. We list these resources. Through the Substance Abuse and Mental Health Services Administration, grants are provided to sober homes and transitional housing facilities for those who cannot afford alcohol and drug treatment. Many transitional housing locations provide housing on a sliding scale basis. This is generally income based support that charges based on one's ability to pay. We find and list those resources. There are many non profit organizations that provide transitional housing. These transitional locations can provide payment assistance for those in need of services. Find these resources here and contact them for support. According to statistics conducted by studies from SAMHSA, the most common reason why people with substance abuse issues do not obtain assistance is due to the financial considerations. The main financial issue is the lack of health insurance. Non profit organizations provide the majority of free and partially free substance abuse treatment. (984) 233-5063 1909 Summerlyn Ct.